Wed., March 21, 2018, 12:35 p.m.
TUCSON, Ariz. – Arizona freshman big man Deandre Ayton is leaving early for the NBA after one dominating season. Ayton made the announcement on his Twitter feed Wednesday. 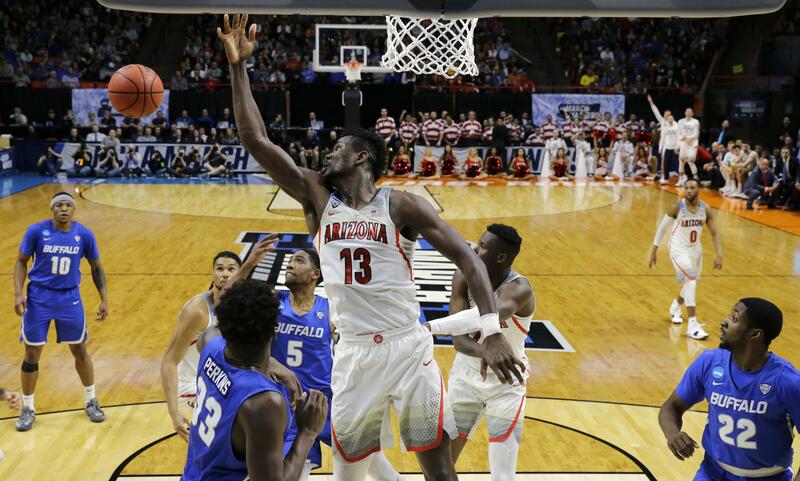 The 7-foot-1, 260-pound Ayton was named the Pac-12 player of the year in 2017-18 after averaging 20.1 points on 61 percent shooting and 11.6 rebounds per game. The Bahamian big man has the size of a center, but the athleticism of a small forward. He has excellent footwork, a good midrange jump shot and passes well out of double teams, traits that have him projected to be a lottery pick in the NBA draft, possibly the No. 1 overall pick. Published: March 21, 2018, 12:35 p.m.